This last season we’ve received guests from all over the word. Many couples have chosen us for their holidays in Ibiza and several families enjoyed the comfort of our suites. Ibiza Sun Apartments like to create a cosmopolitan atmosphere where all our guests feel at ease and can enjoy their holidays on the island: the swimming pool has Balinese beds to sunbathe, our restaurant offers delicious Thai food, the buffet breakfast caters for all tastes, our suites are minimalist and modern, the bar menu has a broad range of refreshing cocktails and our multilingual staff at the front desk is always willing to help our guests with whatever they may need. And we mustn’t forget the list of massages available in our treatment room or the gym open to all guests. 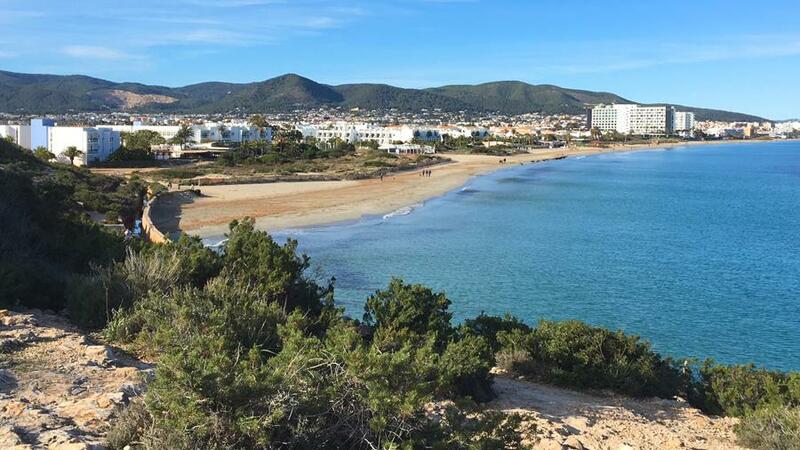 If you’ve decided to visit Ibiza in 2019 for the first time, you should know that our hotel on Playa d’en Bossa has the perfect location as it’s only a few minutes’ drive from the airport, from the city of Ibiza and from very popular beaches, including Ses Salines and Cala Jondal. Also, Ibiza Sun Apartments is only a 5-minute walk from the seashore on Playa d’en Bossa, the longest beach in Ibiza. You can find out about all the things you can do in Ibiza on your holidays by reading our posts, Ibiza in a week, Ibiza by car, or The church route in Ibiza. Our comfortable and modern suites on Playa d’en Bossa will be open to guests from 17th April, so you can already plan your trip and even book your suite. If you already know the dates of your holidays in Ibiza, make the most of this offer code for bookings made on our website until 18th January. You will get 20% off by simply entering the offer code XMASSUN (in capital letters) on our online booking form. This special offer is available for our two types of suites.